Jenny Robson grew up in rural Canterbury, where she befriended MP Ruth Richardson, whose politics she shared. 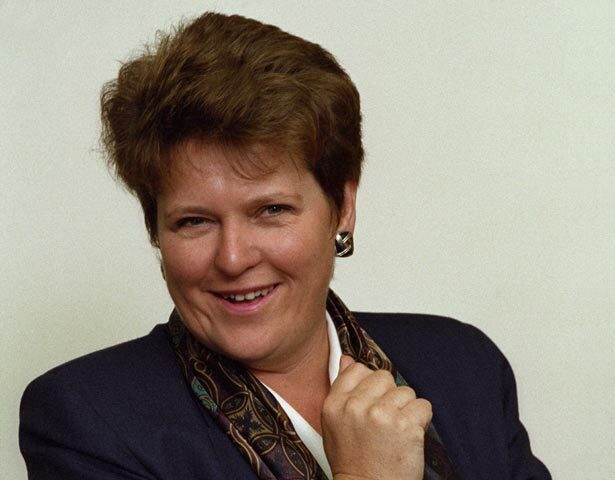 Between 1990 and 1997 she held several portfolios, including Women’s Affairs, but was best-known for social welfare and health, where she oversaw radical and sometimes controversial reforms driven by Richardson’s policies, dubbed ‘Ruthanasia’. She mastered detail quickly and worked hard. National’s ratings slumped as voters asked what had become of ‘the decent society’ Bolger promised in 1990. He demoted Richardson in 1993 and in 1996 formed the first MMP-era coalition with the centrist New Zealand First, led by Winston Peters. Shipley shared caucus resentment of Peters and of policy direction. After she seized the tiller from the ‘Great Helmsman’, National enjoyed a brief honeymoon, but she could not woo an electorate gun-shy of radical reforms. In late 1998 the coalition collapsed, leaving National propped up by an assortment of independents and minor parties. After leaving Parliament, Shipley and husband Burton moved to Auckland, where she became a company director. She became Dame Jenny Shipley in 2009. Among other roles, she chairs Global Women NZ, is Patron of the Sir Edmund Hillary Outdoor Pursuits Centre, and chairs the national coordinating committee planning the Tuia: First Encounters 250 commemorations in 2019. We have 34 biographies, 7 articles, 2 comments related to Jenny Shipley.